Original ABC 1973 TV soundtrack, part of the Schoolhouse Rock! Series. 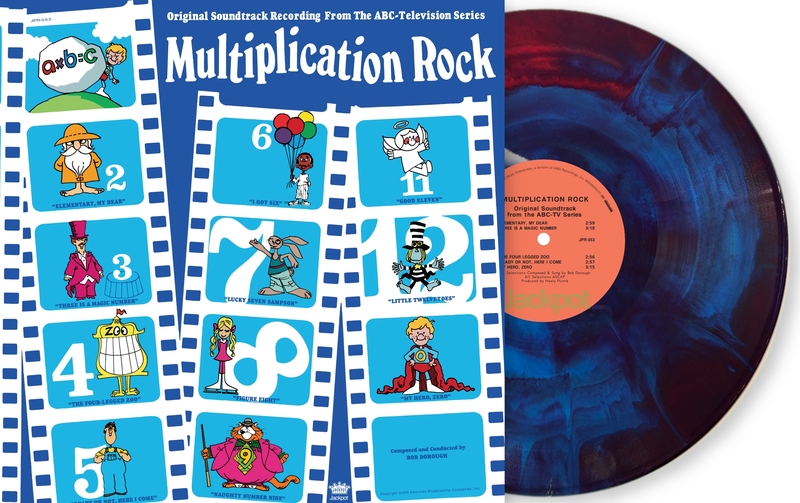 Jazz Bop Vocalist Bob Dorough (1923-2018) composed “Multiplication Rock” as a way for children to remember Multiplication tables. With the use of upbeat pop and rock melodies it turned into a huge success and was Grammy Nominated for Best Children Recording. A huge influence and sample source for many artists from De La Soul to Elliott Smith . Multi-Colored Vinyl LP from The Original Master Tapes with original Tape Box artwork.